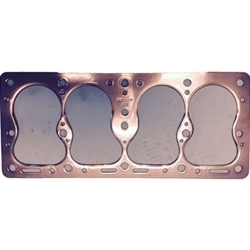 Copper laminated Cylinder Head gasket USA manufacture. These are the best head gaskets avail in the world today and guaranteed to give you the best seal possible. They fit all L-134 flat head jeep engines.